Puppy vaccinations are high up on the list of questions asked by new puppy owners and depending on whom you ask you’ll likely get a different answer. Why so much confusion and controversy over something as simple as puppy shots? Well, the short answer is that it isn’t simple at all! We know more about vaccines today—their advantages, risks, and pitfalls. There is also much we don’t know and that is where the confusion arises. To make matters worse, there is little consensus even among veterinarians as to what is best for each dog. Between the urban myths circulating, it leaves people wondering whether they should even vaccinate at all! With that said, there is little controversy about puppy vaccinations. Puppies need to be vaccinated against what is considered to be a group of diseases likely to either be fatal or difficult to treat. New puppies are not naturally immune to diseases, but if their mother has been vaccinated or contracted the disease previously, she will pass on her antibodies via the placenta in utero and then puppies will receive more protection after they have ingested their first milk. This milk or colostrum is produced by the mother for the first 36 to 48 hours after birth and is rich in antibiotics that the mother may have. If the mother was never vaccinated, she would not be able to pass protection against any diseases to her offspring and the puppy would be susceptible to contracting the disease. Any maternal antibodies present in the puppy’s bloodstream will protect it from those diseases and will block any effectiveness of a vaccine. The antibodies do not last forever, however and when they drop to a low enough level, puppy vaccinations will work. The question is when this does all happen? There seems to be a wide window of time when puppies can be immunized successful. According to an article by Dr. Fosters and Smith, only 25% of puppies would have low enough levels of maternal antibodies to be immunized successful. By 9 weeks, the figure increases to 40%, then 60% by 16 weeks and 95% by 18 weeks. One vaccine will provide protection for the puppy for at least one year, but the trick is deciding when to give it. If the puppy receives the shot too soon, it won’t be effective; too late and the puppy is at risk for contracting the disease. This is why veterinarians recommend a serious of 3 shots, spaced 3 to 4 weeks apart. 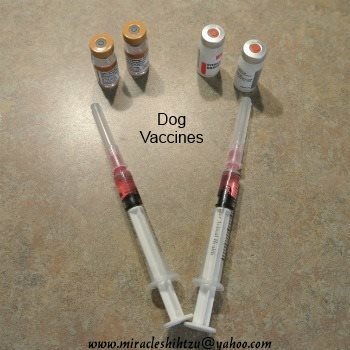 Puppy vaccinations just like all other vaccines contain antigens which resemble the disease causing organism. There are three types, the Modified Live Vaccines (MLV) , Inactivated or Killed Vaccine and Recombinant. Modified live vaccines contain a weak strain of the disease which should replicate once in the dog, but since it was modified will not cause the actual disease. These vaccines are considered to be quick, effective and produce a long lasting immunity. The inactivated or killed vaccine contains the killed whole disease agent. It is the oldest method and is considered more stable, with the longest shelf life. The immunity achieved is slower than the Modified Live Vaccine (MLV). These vaccines require an adjuvant to be effective. Adjuvant are chemicals that can result in increased risk of vaccine reaction. Recombinant technology is new and is showing some good results. These genetically vaccines are some of the most advanced vaccines used in veterinary medicine. Recombinant vaccines use only portions of the selected genetic sequences inoculation with only selected genetic sequences from the disease producing virus or bacteria. The vaccine does not expose the individual dog to the whole organism. One of the great benefits of Recombinant Technology is that the vaccine cannot become inactivated by maternal antibodies like the other vaccines. 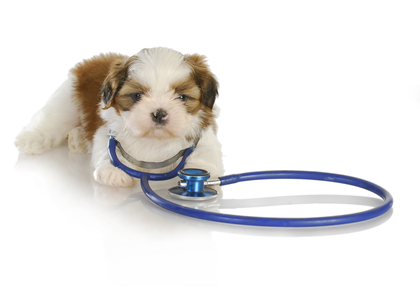 What Puppy Vaccinations should be given? In 2011, the American Animal Hospital Association provided updated canine vaccination guidelines recommending timing of vaccinations. Previously, the AAHA divided vaccines into three categories Core, Non-core, and not recommended. Core puppy vaccinations are those recommended for all dogs based on the risk of exposure, meaning highly contagious, the severity of the disease, or the risk of being transmitted to humans. Parvovirus is highly contagious that can be fatal. It seemed to come out of nowhere in the early 1970s causing much suffering and death to dogs who were exposed. Symptoms include vomiting, diarrhea and general depression and lethargy. Fever may or may not be present but if present can be very high (106°F). Diarrhea is very profuse with mucus and blood present and dehydration develops quickly. Treatment consists of medications to control vomiting and diarrhea, IV fluids and supportive care. The recommended protocol by the AAHA is to begin puppy shots between 6 and 8 weeks, then given every 3 to 4 weeks until the last puppy vaccine is given between 14 and 16 weeks old. The vaccine is then administered at one year and then every 3 years thereafter. Distemper is potentially deadly as well, and includes coughing, sneezing, fever, and loss of appetite. It is caused by a virus similar to the one that causes measles in people. An infected dog will shed the virus in all body secretions. It is a complicated disease taking on several different forms. Secondary infections and complications are common. At first, the dog will get a fever, loose his appetite appear listless, and have a watery discharge from the eyes and nose. These symptoms resemble a common cold. Next, the nasal discharge becomes thick, yellow and sticky. Vomiting and Diarrhea follow. After several weeks, the dog will develop signs of encephalitis with slobbering, head shaking, chewing, and seizures. Canine hepatitis (Adenovirus-1) affects the liver and can cause death. It is highly contagious and most cases in the US involve puppies younger than one year old. Symptoms can be mild or rapidly fatal. In mild cases, the dog will lose his appetite and seem lethargic for a day or two. In severe cases, the dog will develop diarrhea, high fever, vomiting, and abdominal pain. The dog may also show signs of tearing or squinting, bleeding gums and jaundice. Rabies is deadly and can be transmitted to humans through the saliva of an affected animal. It occurs in nearly all warm blooded animals. In the United States, vaccination programs have been very successful in reducing the risk to pets and their owners. Now, in the US, the major animal groups likely to pass on this deadly disease is skunks, raccoons, foxes, bats, and coyotes. Symptoms include disorientation, fever, increased aggression, and seizures. End stages include paralysis, frothing at the mouth and it is a horrible way to die. If a dog is bitten, treatment consists of washing the wound with soap and water, re-vaccinating the dog within 14 days. Rabies is one of those vaccines mandated by law. The initial vaccine is given sometime between 12 and 16 weeks of age and then again at one year. Thereafter, it depends on the local law, but generally a 3 year booster is recommended. Non-core puppy vaccinations include those given for kennel cough (parainfluenza and Bordatella), Lyme disease, coronavirus and Leptospirosis. Non-core vaccines are those that are given on an as needed basis based on where you live, your lifestyle and which activities your dog is likely to participate. Most of what is considered non-core are those that protect against diseases that are either treatable or ones that don’t pose a universal risk of exposure. In other words, all puppies will not need to be vaccinated against all of these non-core puppy vaccinations, only those likely to come into contact with the organism causing the disease. Kennel cough is also known as “canine contagious cough complex"and can be caused by upwards of ten different organisms, but the two most common are Bordetella and parainfluenza. Symptoms include a hacking cough and treatment consists of cough medicine and antibiotics. Bordetella vaccine is usually only recommended if required for boarding, training or grooming. Check with your veterinarian about the necessity of this vaccine. 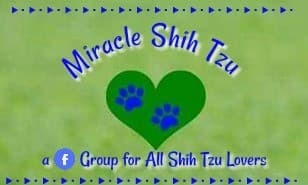 At Miracle Shih Tzu we normally do not vaccinate puppies with this vaccine. Leptospirosis is an infection affecting the kidneys and liver and it is contracted through the contact with urine of an affected animal such as a rat, raccoon, cow or pig. The risk of contagion from dogs to humans is very low, but it is still considered possible. Protection with a vaccine is not long, six to seven months and there are at least four different strains of leptospirosis that can affect dogs. Additionally, there have been side effects of the vaccine reported. According to the 2011 AAHA report, the 2 way vaccine is not recommended. The 4-way vaccine must be given in two doses, approximately 2 to 4 weeks apart. They recommend revaccinating annually only in dogs with a reasonable risk of exposure. Lyme Disease is transmitted by ticks and can cause lameness, kidney failure and heart disease both in dogs and in people. It is most prevalent in the upper northeastern states, Wisconsin and Michigan. The vaccine is administered in two doses, about 2 to 4 weeks apart and must not be given to puppies younger than 12 weeks of age. Annual vaccinations are recommended or at the beginning of the tick season only to dogs known to be a risk of exposure. Those vaccines considered by the American Animal Hospital Association to be not recommended included Corona virus, Giardia, Adenovirus-1 and Rattlesnake venom vaccine. Corona is a rare disease that affects puppies younger than 8 weeks of age and is self-limiting, meaning that the puppies will get better on their own without any treatment. It does not cause disease in adult dogs. Immunologists do not feel the vaccine works. The AAHA does not recommend either the killed or the MLV and this decision is bases on findings that there is little to no protective immunity from the vaccine. A Canine Giardia vaccine is available but not recommended by the AAHA because the disease will respond quickly to treatment, the efficacy of the vaccine has not be sufficiently established and there are risks of adverse side effects. This vaccine is specifically designed to produce antibodies against the venom of the western diamondback rattlesnake. It may also be effective against the sidewinder, timber rattlesnake, and copperhead but does not protect against the venom of water moccasins or coral snakes. 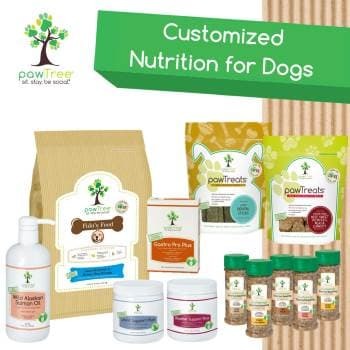 Dogs require a booster after one month of the initial dose and then annual thereafter. Because the positive effects of the vaccine diminishes over time, twice yearly vaccines may be needed. The vaccine does not negate the treatment if a dog should be bitten, but may lessen the pain and amount of antivenin needed for treatment. The AAHA does not recommend this vaccine due to the lack of information regarding its efficacy. After all puppy vaccinations have been given, dogs will need booster shots to maintain full immunity from disease. 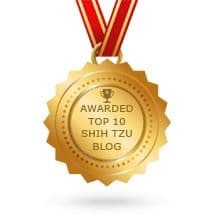 The frequency of needed boosters is very variable and depends on several factors: the dog’s own immune system, the individual vaccine, and if the dog was exposed to the disease. Currently the AAHA recommends revaccinating dogs every three years for most core vaccines. This does not mean, however, that immunity only last 3 years. There is evidence that immunity might last much longer, even the life time of the pet. 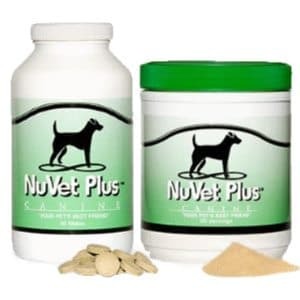 Dr. Ron Schultz, professor and chair of the Department of Pathobiological Sciences at the University of Wisconsin School of Veterinary Medicine, Madison believes no booster is required for dogs (for the distemper, parvo, adeno combo), assuming the initial dose is effective.